In a bind? Litwick's can save you time and money with our custom event bags. 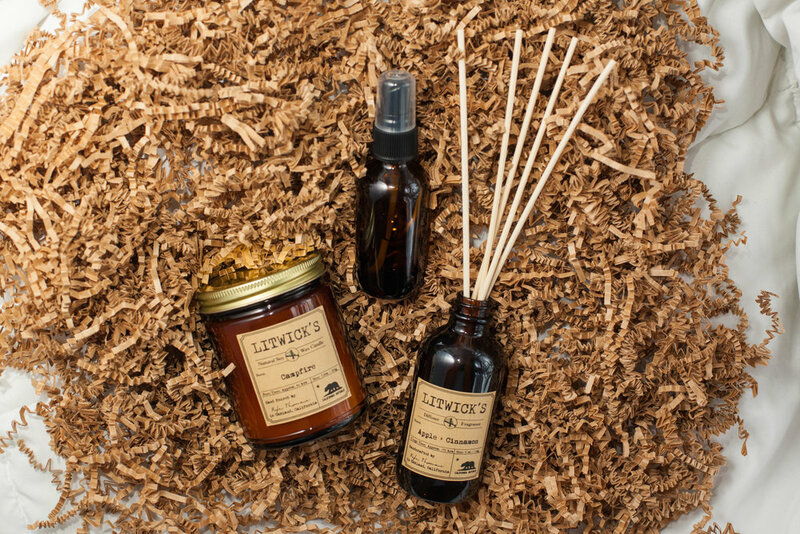 Each bag includes a boxed candle, essential oil room spray, and a reed diffuser. We can include a variety of scents or you can mix and match. Need large quantities of our boxed candles? We offer steep discounts on orders over 25 candles for events. We offer options to get your branding in front of your gift recipients. Our candle boxes are fully customizable and so are our kraft paper bags. Custom branding options start at only $0.20 per unit + $30 setup fee. Thank you! Our accounts specialist will reach out to you within the day.